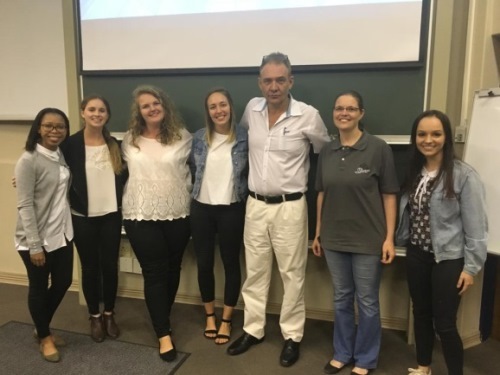 The University of Pretoria’s 2018 BCom Marketing Management honours students were challenged to develop innovative marketing campaigns for a variety of target markets with the aim of increasing demand for the Illinois Spur in Hatfield, as part of the Marketing of Services module. 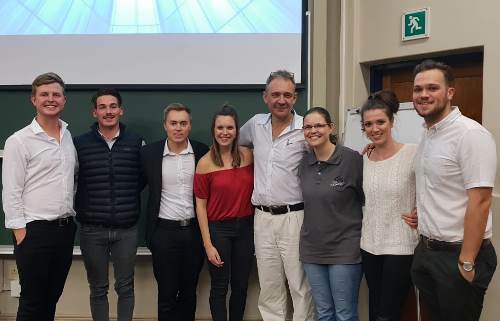 The 10 student teams, comprising six students each, presented their ideas to the client during October 2018. The presentation evening also served as a learning experience for peers, especially when listening to the panel’s questions about campaign ideas. The two Illinois Spur representatives, Mr Visser and Mrs Joubert, were extremely impressed by the quality of the presentations. They thanked the teams for their very insightful campaigns and commended each team on their hard work. 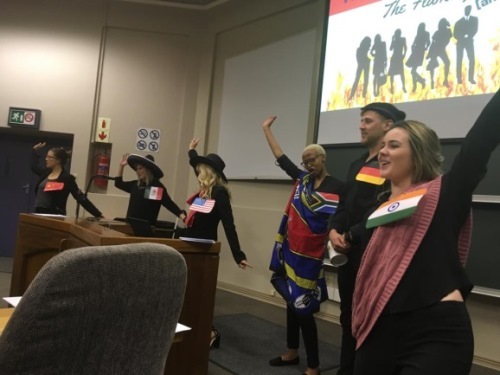 Although each team offered some excellent ideas, the teams that ultimately came out on top were The Tribe (first place for the best campaign), followed by The Red Indians (second) and The Spice Grills (third). Congratulations! 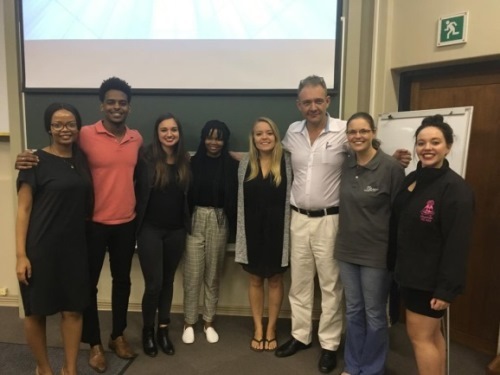 As a token of appreciation, Phillip Müller and Jeanie Horn presented Mr Visser and Mrs Joubert with gifts to thank them on behalf of the students for the amazing opportunity of being able to work with a nationwide brand such as Spur, as well as for the experience gained from such an insightful project.